Esther Santiago, age 93, of Essex Street in Holyoke, passed away peacefully on Tuesday February 5, 2019 with her family at her bedside. She leaves 4 children: Maria Sotolongo of Holyoke, Elsa Santiago of Holyoke, Guillermo Santiago of New York, and Ruben Santiago of Florida. She leaves 14 grandchildren, 32 great-grandchildren, and 12 great-great-grandchildren. She was a woman of strength, courage, wisdom, and above all devoted to her faith. 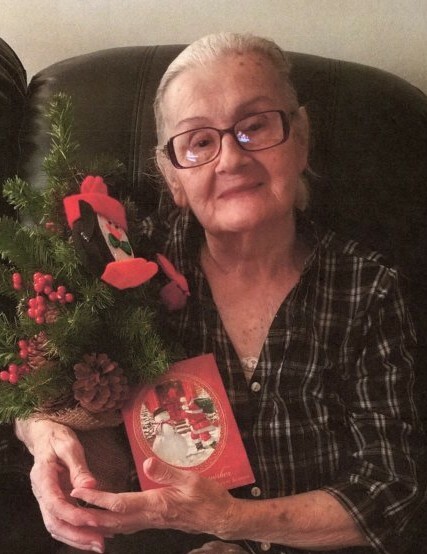 Committed to her family, she enjoyed playing chess, card games, and had a great sense of humor. You could always count on her for a smile. She was our sunshine. She worked in New York City fashion industry since the 1940s where she retired from as a dressmaker, working alongside the fashion designers. She loved, was loved, and will be dearly missed. Calling hours will be held on Friday February 8 from 10:00 to 1:00pm at the Barry J. Farrell Funeral Home, 2049 Northampton Street, with the burial to follow at Forestdale Cemetery in Holyoke.